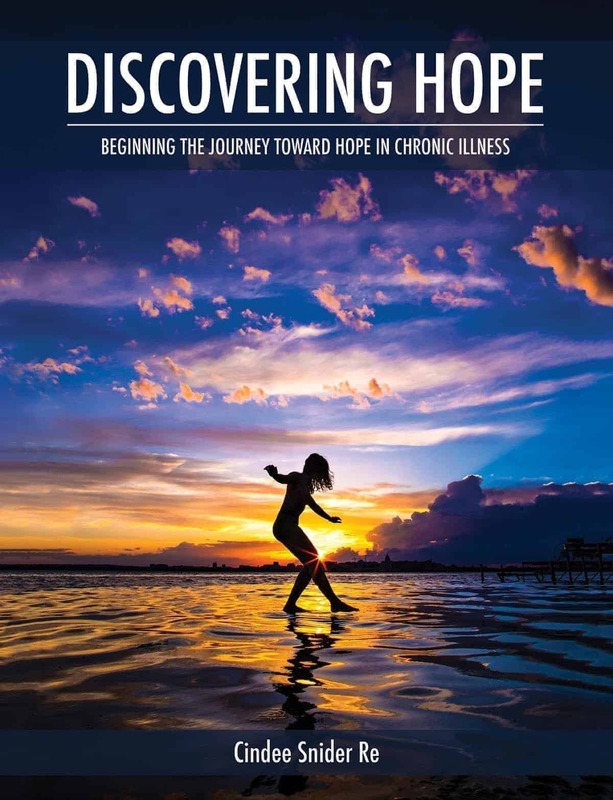 DISCOVERING HOPE is a 10-chapter study inviting participants to experience radical hope and compassionate change in a life with chronic illness. 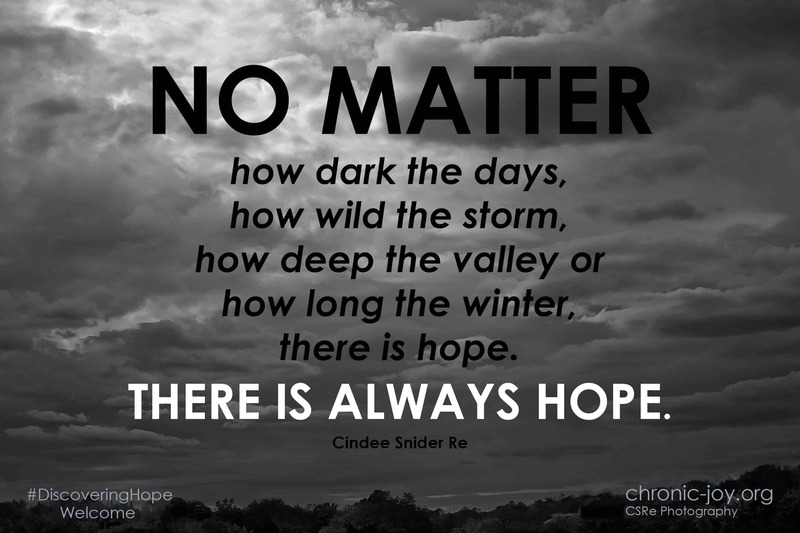 No matter how dark the days, how wild the storm, how deep the valley or how long the winter, there is hope. 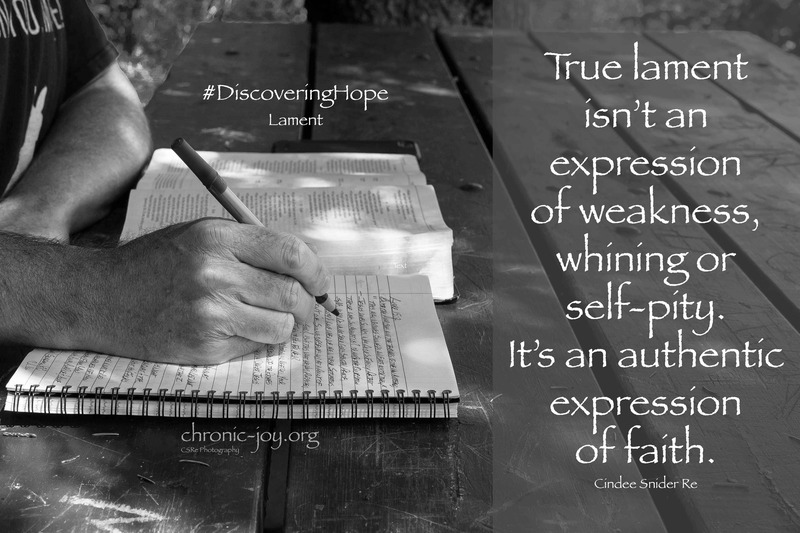 DISCOVERING HOPE is a powerful, practical, insightful and well-written guide for all those affected by chronic physical and mental illness. Embrace a new perspective. Celebrate the small victories. Wrestle with difficult questions. And learn to laugh again. Often. No matter what today looks like, there is hope. Your journey begins with the very first page. To more learn more about our GIFT OF HOPE program – click HERE. 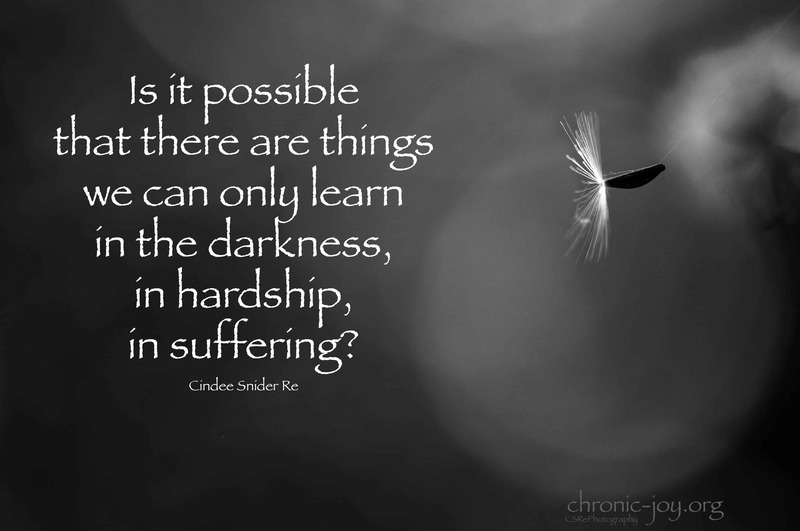 We can feel isolated and powerless when living with chronic illness, but what if your story begins to bridge those barriers? What if your story begins a conversation? 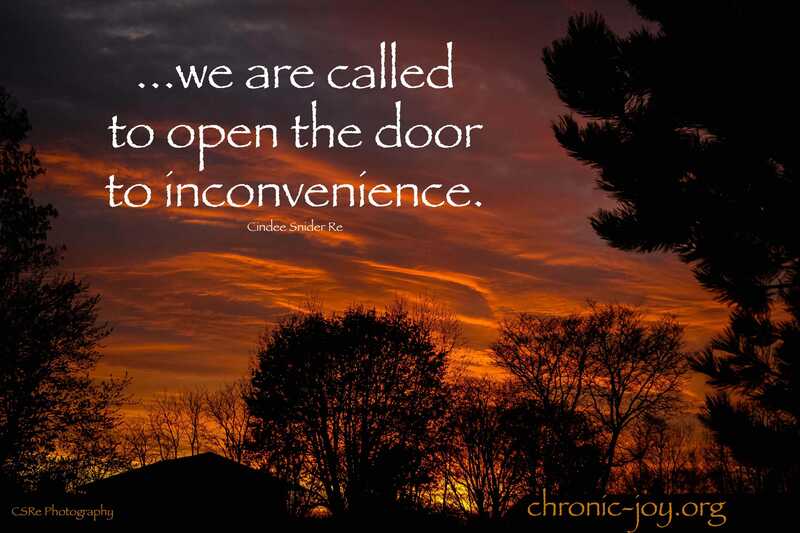 Opens a door for someone to connect, to feel less isolated and alone? 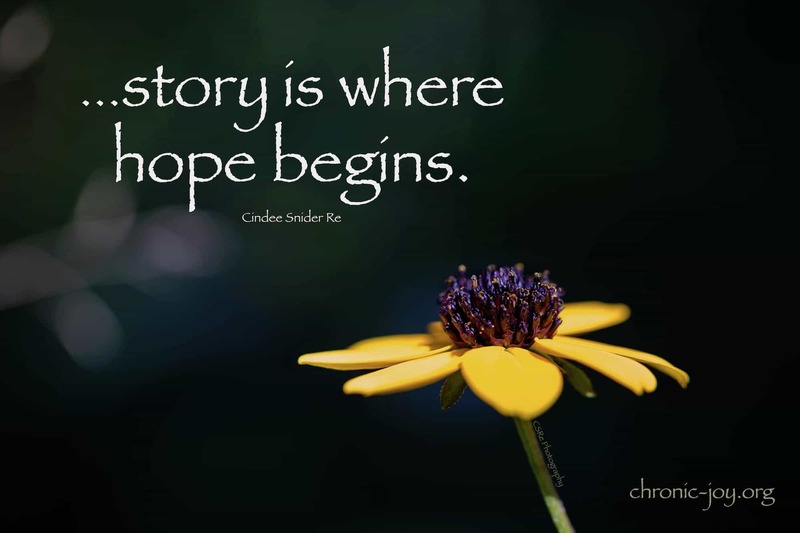 What if your story offers a glimmer of hope to someone standing at the edge of hopelessness? What if your story starts the conversation? 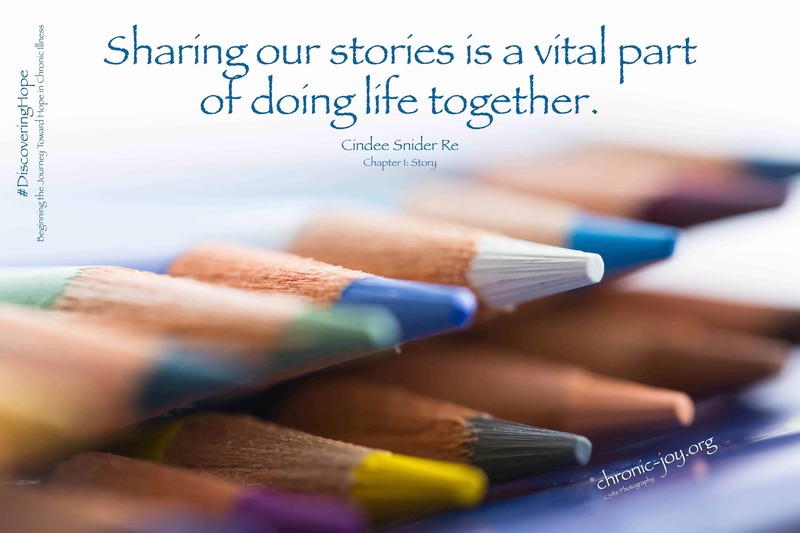 Click here for a great resource to help you write the story of your illness. If Jesus, God in human flesh, cried out in anguish in the garden of Gethsemane and from the cross, if he wept over Lazarus’ death, why do we feel it is faithless to lament? Why do we fear to embrace what God so clearly expresses in His Word? 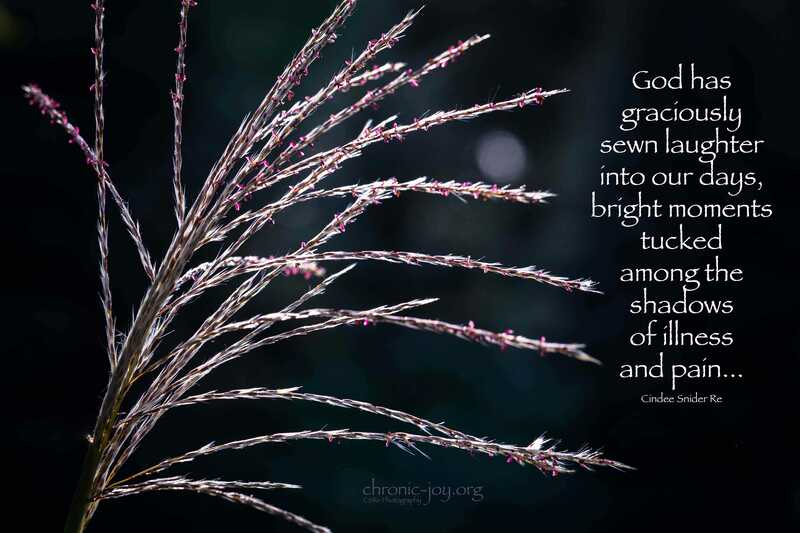 Click here for a resource to help you experience and write your own lament. 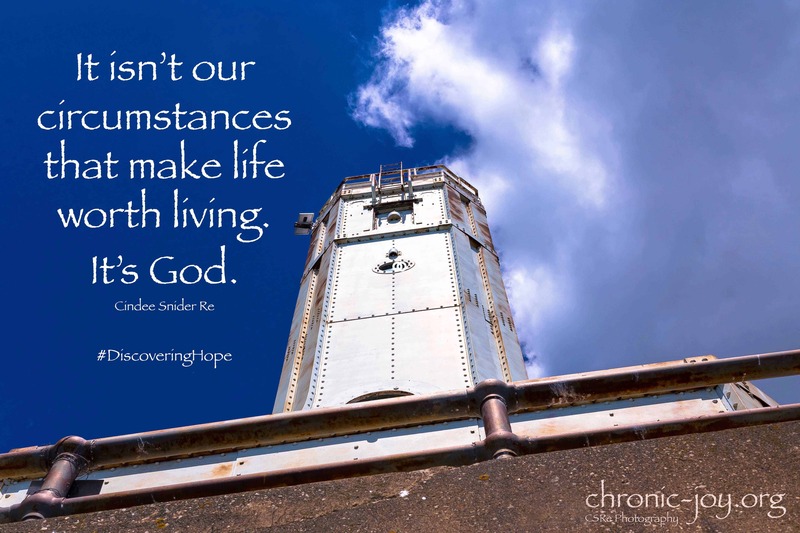 DISCOVERING HOPE is a powerful, practical resource. 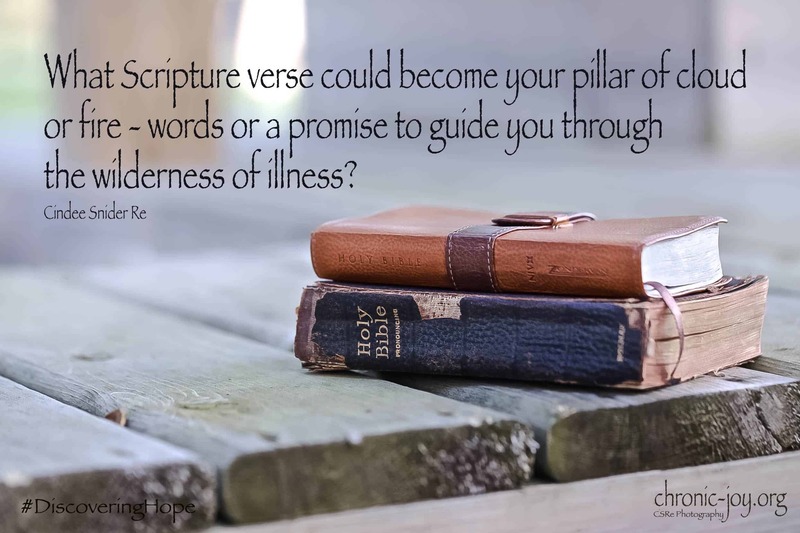 Folks with chronic illness – like me – will find hope and help within its well-written, honest devotionals, thoughtful study questions and journaling prompts, and inspirational quotes. Author of Love at First Fight, Wounded Women of the Bible, 25 Christmas Blessings, and more. 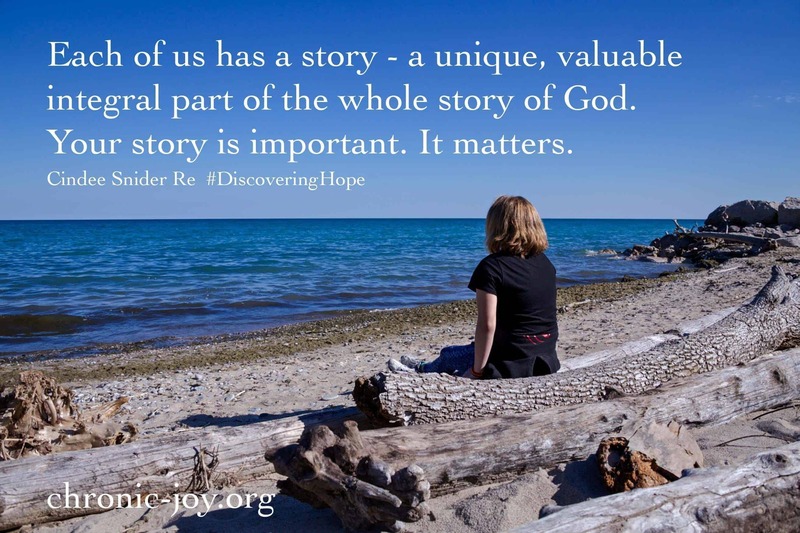 I cannot say enough about DISCOVERING HOPE. I not only recommend this study to those suffering with chronic illness, but for anyone who loves someone with a chronic illness. 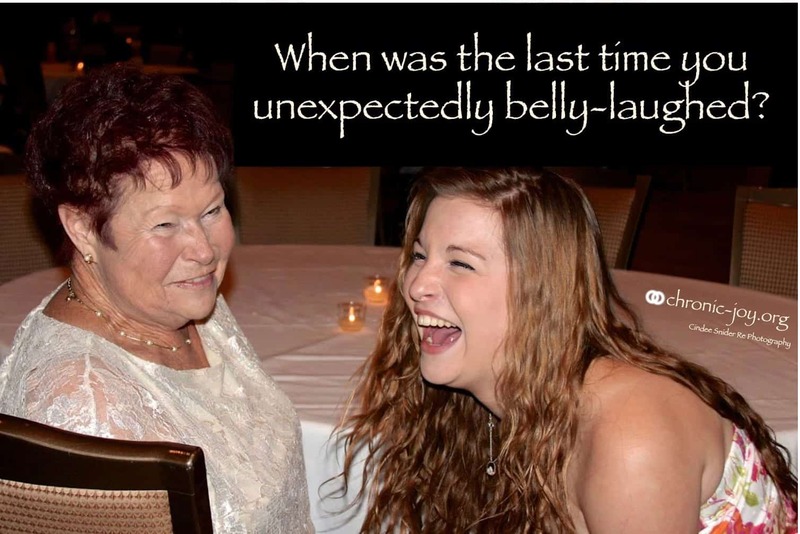 After losing our son to sudden cardiac death at age 32, our grief was overwhelming. That was 15 years ago. 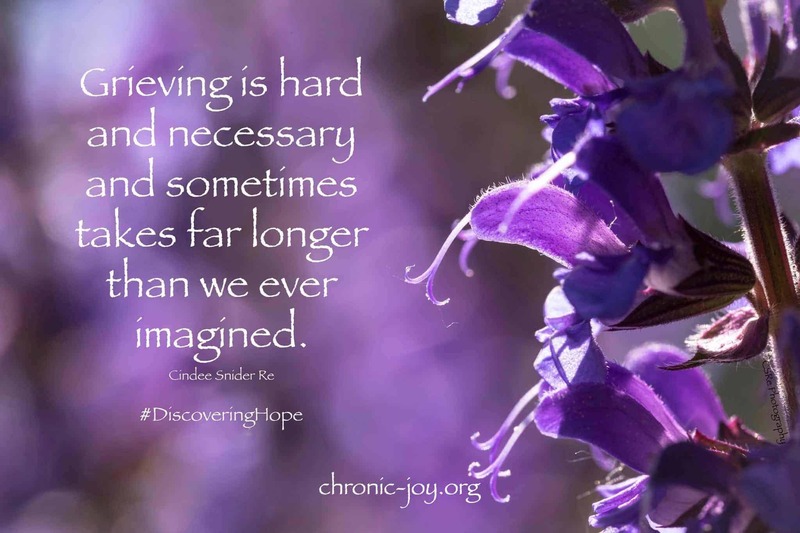 When we read DISCOVERING HOPE, we realized it could also help us deal with our grief. This is the first study that helped answer our many questions. We highly recommend it to anyone dealing with this chronic issue too. Lean into the precious truths embedded here and find your way into the only hope that will not disappoint. 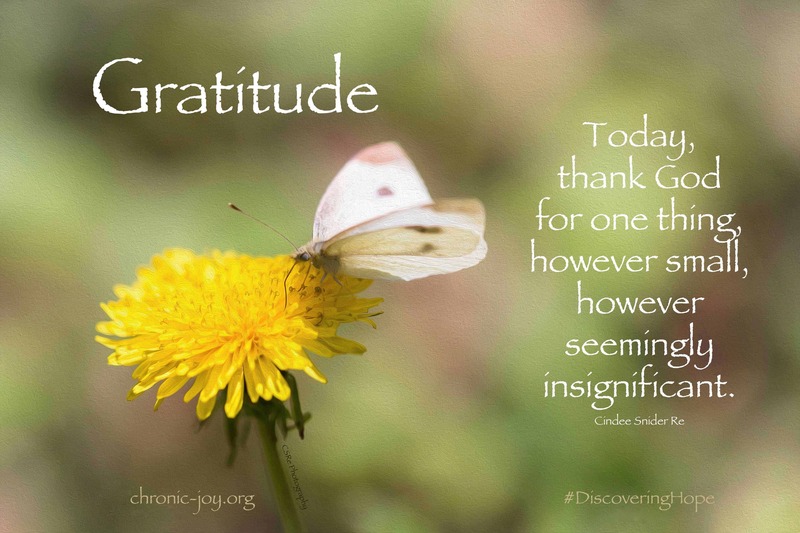 Discovering Hope is one of the Chronic Joy THRIVE Series. 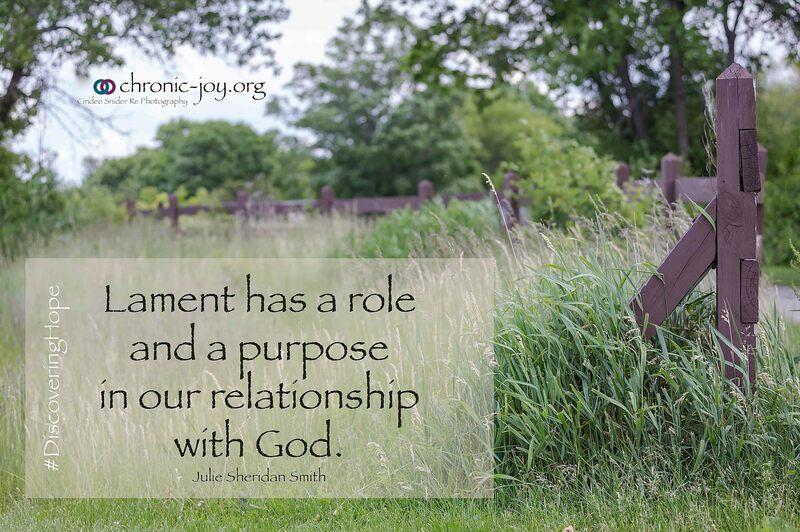 The companion resource for this series is Grace, Truth & Time. For a list of all THRIVE books, visit our store.